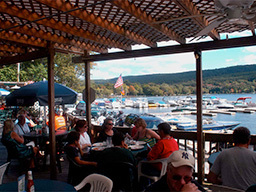 GREENWOOD LAKE, N.Y. - Aug. 2, 2018 - PRLog -- Select Commercial is pleased to announce the approval of a $1,312,000 loan for the purchase of a marina/lakefront restaurant/country inn located in scenic Greenwood Lake, New York (Orange County). The multi-use property contains motel rooms, lakefront restaurant and bar, and boat rental dock. The borrower obtained 90% financing, and a 25 year term, through Select Commercial's SBA department. Our SBA division finances all types of owner-occupied single and special use properties, including: motels, gas stations, restaurants, bowling alleys, theaters, auto repair, auto dealerships, and many other retail business locations.